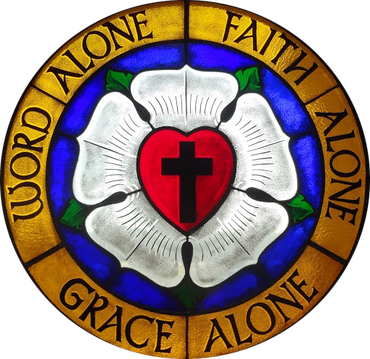 Grace Alone or "Sola Gratia" - God loves the people of the world, even though they are sinful, rebel against Him and do not deserve His love. He sent Jesus, His Son, to love the unlovable and save the ungodly. Faith Alone or "Sola Fide" - By His suffering and death as the substitute for all people of all time, Jesus purchased and won forgiveness and eternal life for them. Those who hear this Good News and believe it have the eternal life that it offers. God creates faith in Christ and gives people forgiveness through Him. Scripture Alone or "Sola Scriptura" - The Bible is God’s inerrant and infallible Word, in which He reveals His Law and His Gospel of salvation in Jesus Christ. It is the sole rule and norm for Christian doctrine.